With equities breaking lower for the second day, the VIX was back on the rise, again breaking above the key 20 threshold (intra high 20.44), but settling +11.7% @ 19.60. Near term outlook is for renewed equity strength into opex, which should equate to VIX melting back to the low teens. It is notable that despite the equity market still relatively close to historic highs (just 3-4% away), the VIX is holding the upper teens better than it has in a long while.. arguably, even more so than the mid October equity washout. Does it bode for more 'interesting' equity weakness this early spring.... probably. US equities were weak across day, having slipped from the Friday open of sp'2064 to today's low of 2022, and settling -16pts @ 2028. The two leaders - Trans/R2K, settled lower by -0.6% and -0.5% respectively. 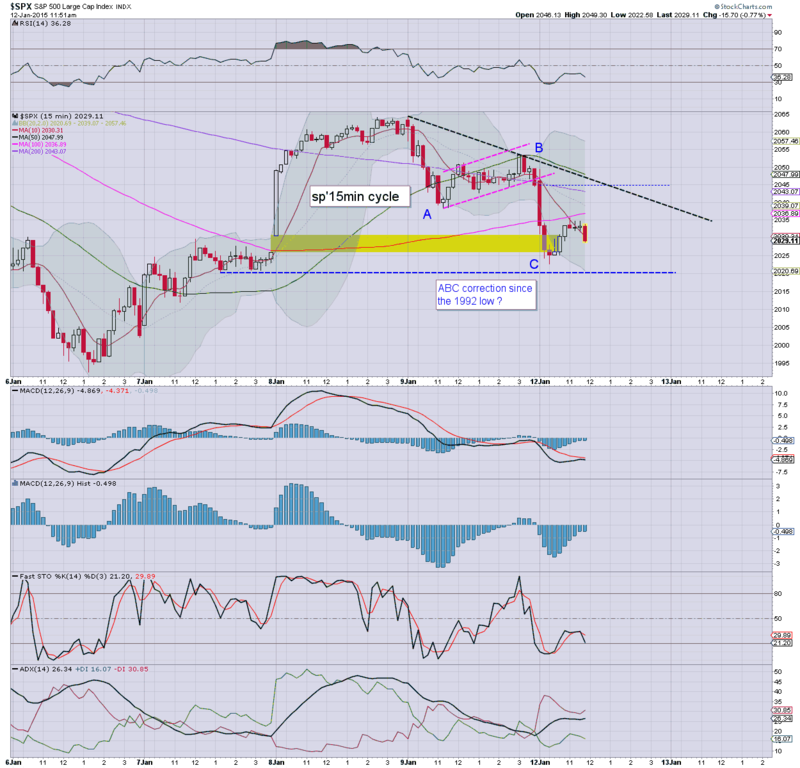 Near term outlook is for renewed strength into the coming opex. Interesting start to the week. Perhaps even more interestingly... even amongst a fair few of the doomer community.. most seem to be looking for upside to the low sp'2100s within the near term. *I remain long the R2K, seeking an exit somewhere equiv' to sp'2090/2110... no later than end of next week. 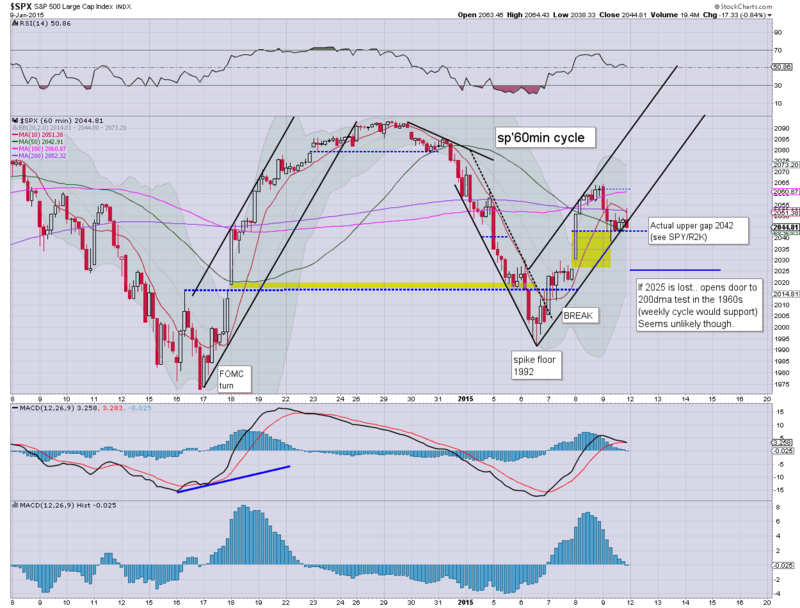 Equities are close to breaking the earlier low of sp'2022. Any daily close under 2020 should be something of a concern for the bull maniacs. Oil is not helping, -4.4%.. and is naturally impacting the energy sector stocks. VIX is clawing upward.. +15% in the 20.10s. *best guess... the 2022 low holds... but clearly.. this is a very borderline situation. ... the closing hour will be pretty important in shaping the next few days. 3.20pm.. it remains choppy.. but looks like 2022 will indeed hold. So.. Mr Market merely needs an excuse tomorrow to gap higher... and push all the way into opex. 3.37pm.... sp'2024... it remains borderline... but price action remains VERY tight. 3.49pm.. SNAP to the upside.... if it holds in the 2030s... its a minor victory for the bull maniacs... buyers coming in... bears bailing. Equities are in chop mode, having probably made a key floor of sp'2022. VIX continues to cool from earlier highs, but still +10% in the 19.40s. Metals are continuing to build gains, Gold +$12, whilst Energy remains weak, Oil -4.0%. *Gold higher for the 5th day of 7. 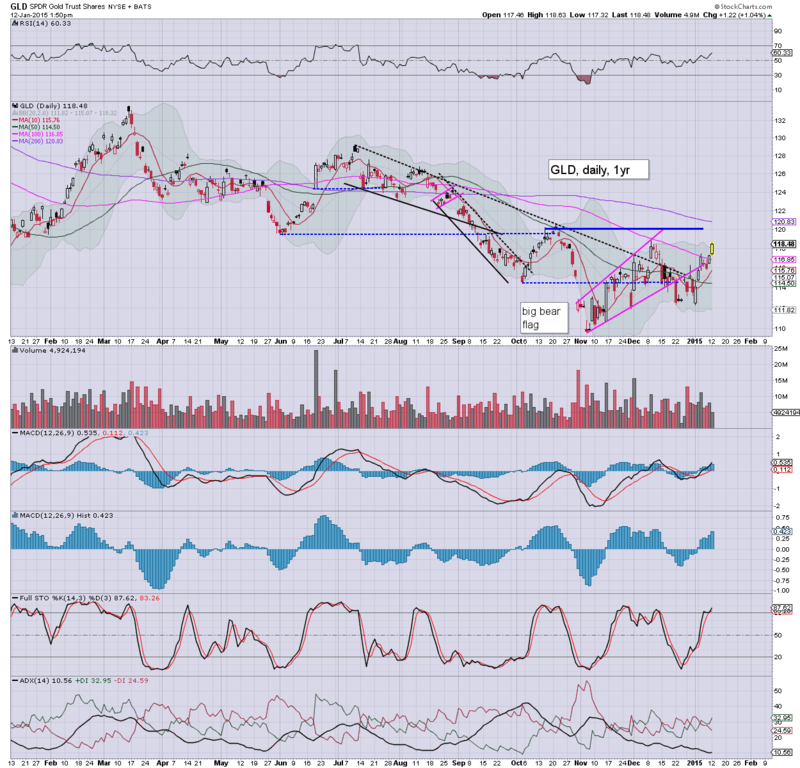 Still remains choppy, and faces tough resistance at the Oct' high of 120. equiv' to spot gold of $1250. Suffice to say.. with each passing hour, I've more confidence that we have an ABC correction.. with a floor of 2022. A daily close in the 2040s... still possible. 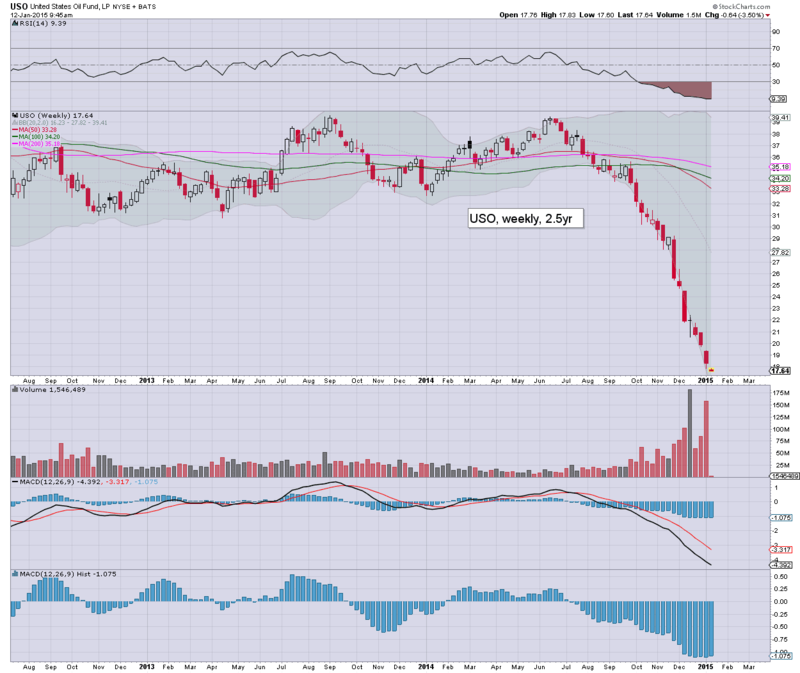 Notable weakness, oil/gas drillers, RIG -4.1%, SDRL -3.5%. 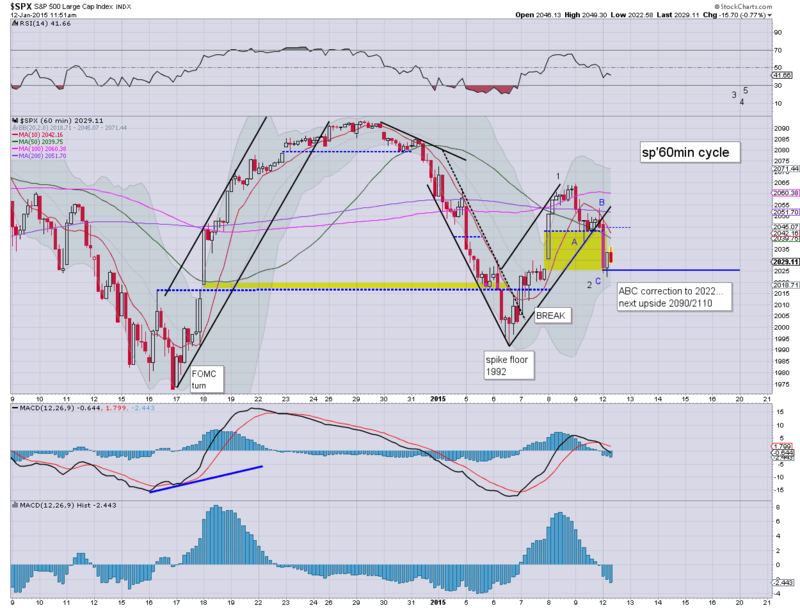 Equities remain moderately weak, but well above the early low of sp'2022. VIX is similarly cooling from its earlier high of 20.44. Metals are holding moderate gains, Gold +$6. Oil has clawed a little above the earlier lows, -3.9%. *for the bulls, a daily close in the 2040s would be 'useful'. Any late day sell down sub 2020.. would be a real problem. 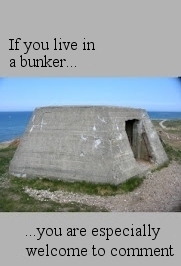 The latter looks unlikely though. Watching EU version of CNBC earlier. There seems to be some serious chatter that the ECB is set to announce a T-bond buying program. It will be based on the contribution of the various member states. Naturally, the stronger Germany and France will see a greater share of their bonds bought. For now.. its speculation.. but a t-bond buying program would be a significant step.... not least because once they do one round... you know they'll do a second... right? Suffice to say... 2022... probably it for the bears. From here... first upside target is the historic high of 2093.. and then 2110s. 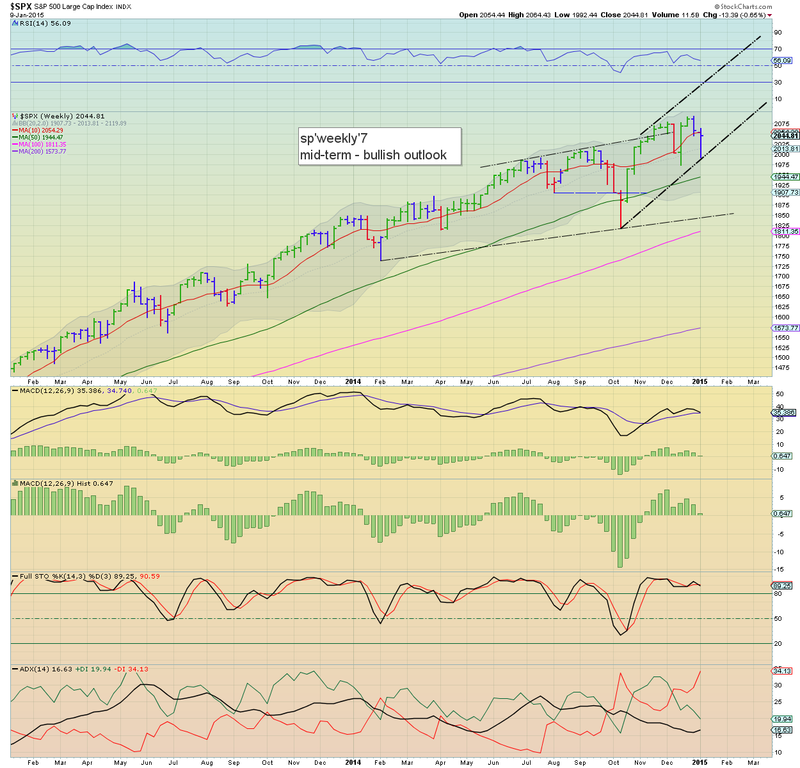 As many recognise..there is a truckload of resistance in the low 2100s. It will be interesting to see whether market merely grinds higher into late spring... or keeps dropping 3-5%.. but with broadly higher highs... and higher lows. US equities open moderately lower. Next key support is the lower gap area of sp'2030/25. A daily close under 2025 would be a major problem for the bulls. Metals are a little higher, Gold +$4. Oil remains in collapse mode, breaking a new cycle low of $46.33. *a notable new cycle low for Oil in the $46s... 45s look due.. which was Carboni's original target from the late summer. So... we're on the slide... an 'early Monday morning' washout? ... which was actually something a fair few were seeking. What matters today is how.. .and where we close. Those on the short side should be extremely mindful of a late morning turn/floor. As ever.. short stops (of some degree) would be... useful. 10.08am.. market trying to put in a spike floor of 2022. Bears............ beware! smaller 5/15min cycles are on the low end. 10.26am.. A floor might well be in.... bull maniacs should be battling for a daily close back in the 2040s. Notable weakness: SDRL -4%... in the $9.50s.... next level... $7 or so. Good morning. US equities look set to broadly climb into this Friday's opex... ahead of a long 3 day weekend. The bigger weekly/monthly cycles are both offering sp'2110s within the immediate term. 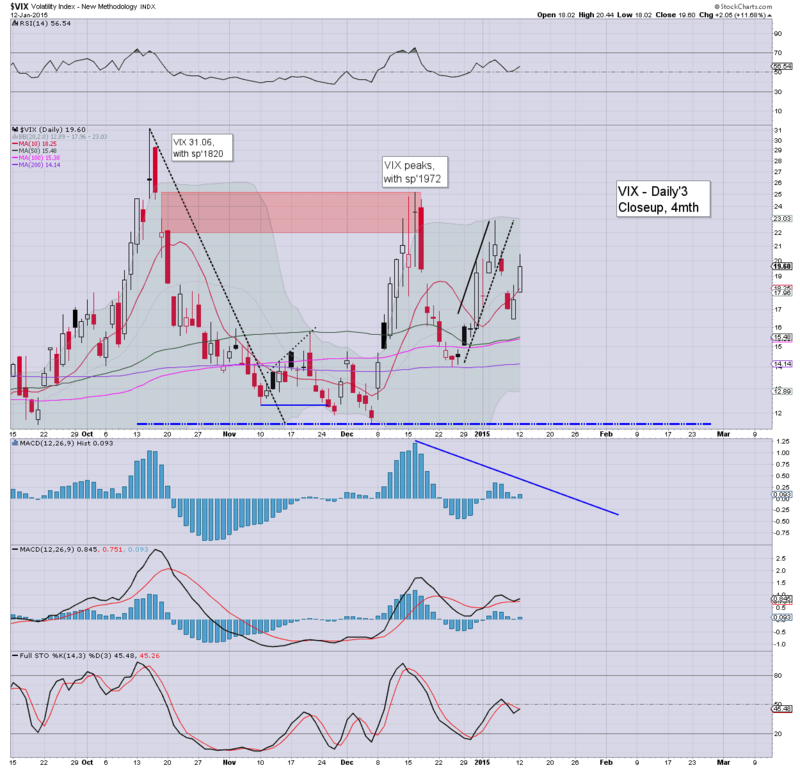 VIX looks set to cool back to the low teens. *bull maniacs should be looking for a green candle this week, I would guess we'll need to see 2070s for such a bullish candle. 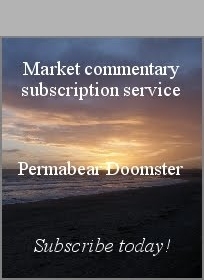 Reading around this past weekend, it seems there is fair consensus that so long as the market does not break under sp'2030/25 or so... the bulls should be fine for upside into the coming 3 day weekend. I'm certainly holding within that consensus.. seeking a move to the low sp'2100s.. whether by this Fri' opex... or the following Tue/Wed. As ever... make of that........ what you will.